« What If EHR Doesn’t Live Up to Promises? A gradual increase is noted in the number of companies moving their resources into the Cloud. Similar to other industries, healthcare also wants to avail a number of benefits offered by Cloud computing. Many medical practitioners, nowadays, use a specialized cloud computing service known as health care cloud. The innovative service makes it easier for health care providers to store, manage and access the personal health information (PHI) of patients. The healthcare analytics further allow hospital administrators to carry out a variety of functions without putting any extra time and efforts. As many reports have highlighted, the health care analytics can be used for creating quality reports, capturing revenue and meeting specific requirements. Many clinics also use the analytics to exchange and use sensitive personal health information in different ways. 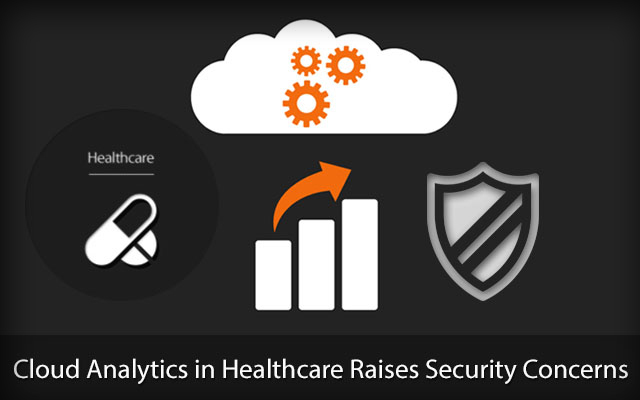 However, one cannot avail the advantages of Cloud healthcare analytics simply by investing in the technology. It is also important for each healthcare practitioner to use the analytics comfortably, and integrate these functions seamlessly into his operations. At the same time, the healthcare providers also need to comply with the security requirements according to the Health Information Technology for Economic and Clinical Health Act (HITECH) and the Health Insurance Portability and Accountability Act (HIPAA). As the Cloud computing facilitates smooth exchange and access of crucial personal health information, it becomes more prone to various types of security threats. A number of recent rulings have further extended the medical security responsibilities to all concerned parties. The healthcare providers as well as their business partners will be responsible for keeping the personal health information of clients secure and inaccessible. So a company providing backup, support or any other IT services to the healthcare providers also have to implement a comprehensive strategy to safeguard the patient data. It is also important for a Clinical software development provider to trust his business partners and technology vendors. The mutual trusts will make it easier for each party to keep the patient data safe and secure without putting much effort. Many healthcare business intelligence experts even advise healthcare providers to change their technology vendor, if they do not have faith in the information security strategy implemented by the company. However, each healthcare practitioner must monitor and evaluate the security strategy of its technology vendor constantly to ensure that it has put the required technical safeguards in place. Along with building mutual trust, the healthcare providers also need to concentrate certain points. When you are hiring the Cloud analytics vendors, it is important to check if the patient data is stored and processed in encrypted format. You can even conduct periodic security audit to ensure that the vendor is consistently following the data security protocols. Also, you can consider availing the services of private Cloud analytics vendors based on your specific needs. If your organization is handling a huge amount of personal health information on a regular basis, it is a good idea to store the data and access the analytic functions by setting up your own private Cloud. The process will require you to invest some amount of time, effort and funds, but the investment will make it easier for you to make and implement a comprehensive security strategy by including all key data security protocols. But no one can deny the advantages offered by public Cloud. Once can avail public Cloud to configure, setup and run healthcare analytics without putting any extra resources. The public Cloud is also the most affordable option to smaller hospitals. So you can still hire one of the public cloud vendors, but the company must be selected only after evaluating its security strategy based on the information gathered from several reliable sources. While evaluating the security policy of the Cloud analytic vendor, you also need to concentrate on the amount of storage space required to store all your patient data. As per legal requirements, you have to store the patient data securely over many years. Specific patient data even need to be stored for more than a decade without being accessed and used. So you must consider security protocols to keep the unused patient data secure and accessible. It is also advisable to implement a comprehensive data security strategy that includes measures to secure the regularly processed and used patient data. This Post was posted in Health Care and tagged customize healthcare system, develop clinical information management systems, develop health e-learning solutions, develop hospital information systems, develop hospital management system, develop medical billing software, develop medical information system, Develop medical practice management system, developers for healthcare application, healthcare application testing, healthcare software developers, healthcare software maintenance, healthcare software testing company india, hire healthcare developers, hire healthcare developers india, web-based practice management system development. Bookmark the permalink.